NOTE: Scale lengths are measured from the nut to the saddle. - Standard Long Scale Sets have a 37" wound length (i.e. the distance from ball-end to silk/taper is 37"). - Make sure the string's wound portion clears the nut but does NOT wrap around the tuning post. 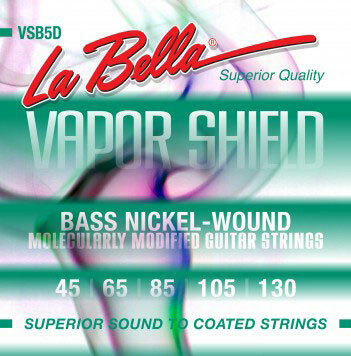 - Standard La Bella Flat Wounds are NOT suitable for basses that require strings to pass through the body of the instrument.